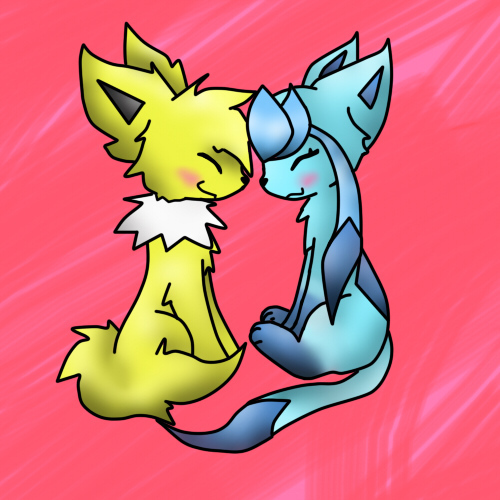 glaceonxjolteon. a eeveelution couple i felt like drawing one Tag. Wallpaper and background images in the Eevee Evolutions Clan club tagged: glaceon jolteon eeveelution.